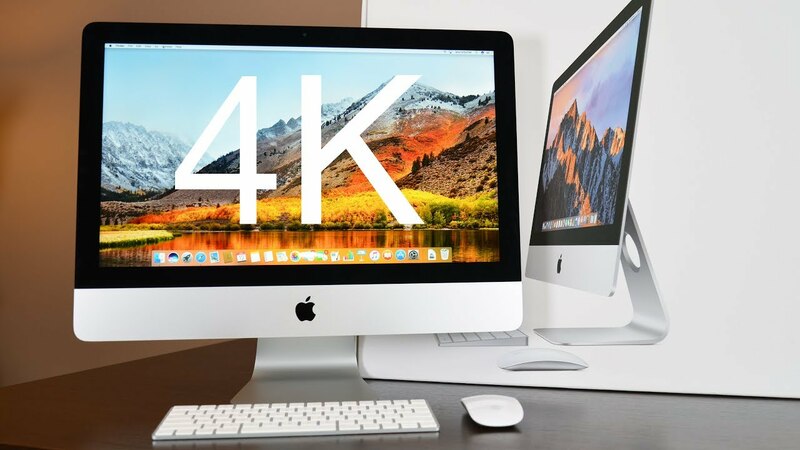 The iMac's processor has been upgraded and now houses a 7th-gen Kaby Lake 3.0 GHz Intel Core i5 Quad-Core processor that can be overclocked up to 3.5 GHz, as well as 16GB of 2400 MHz DDR4 RAM. Visuals are powered by a dedicated AMD Radeon Pro 555 graphics card with 2GB of vRAM, and for storage, there is a 512GB SSD. Whether your iMac is in your studio, living room, or kitchen, the display is the focal point. With a 4096 x 2304 screen resolution and a 16:9 aspect ratio, you'll be able to playback 4K content natively. The IPS panel allows for wider viewing angles so more people can enjoy the display without having to crowd around it. With a dedicated AMD Radeon Pro 555 graphics card with 2GB of vRAM, the iMac delivers 4K visual effects and 3D graphics, as well as video editing capabilities that can tackle multicam projects in Final Cut Pro X with up to five streams of full-res 4K video, as well as the ability to edit 360° video and create 3D VR content.